Burberry Accessories Belted Cashmere Robe. Saturday mornings usually find me lolling in bed with magazines, an indulgent routine that sometimes leaves me feeling lazy. 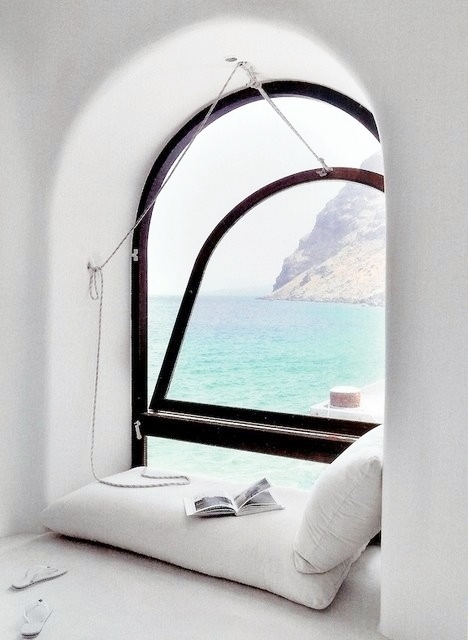 Would a reading nook break the continuum between sleep and relaxation? 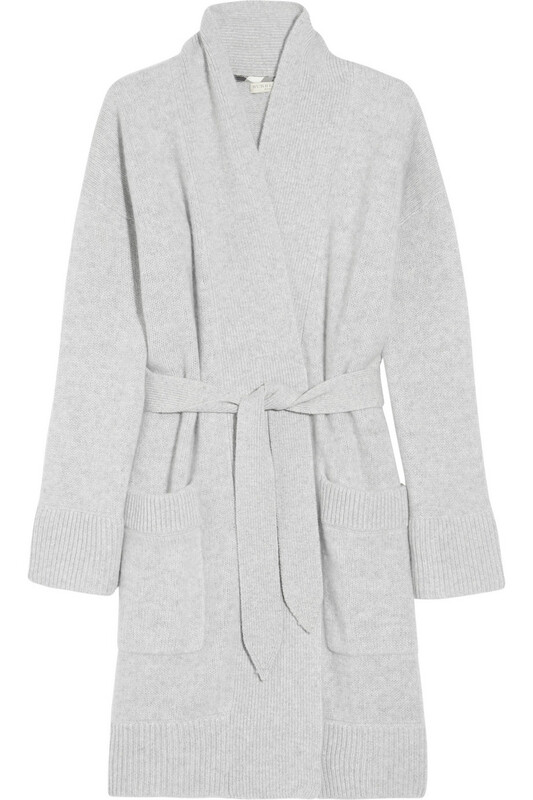 It would certainly give me a reason to wear a plush cashmere robe. This spot seams ideal, sited somewhere near surf, bright with natural light, cushioned by overstuffed pillows. My imprint on this world would see some clutter and a cup of coffee, yet still serene.